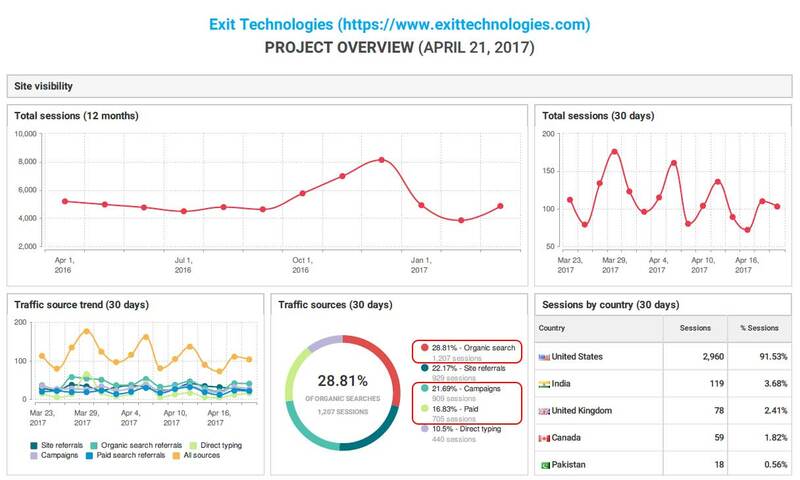 Exit Technologies: from 3,000 to 10,000+ site sessions in 7 months! Exit Technologies: from 3,000 to 12,000+ site sessions in 8 months! From 3,000 to 5,000 to 12,000+ Site Sessions/Month! We started with a website redesign and continued with a simultaneous SEO overhaul and content marketing campaign. Ex-IT Technologies is an R2 certified company that buys old IT equipment and resells it or recycles it after taking the proper precautions for data erasure. While content marketing costs 62% less than outbound marketing, it generates more than three times as many leads.